Bad Bird makes extra flavorful fried chicken that will keep you coming back for more. 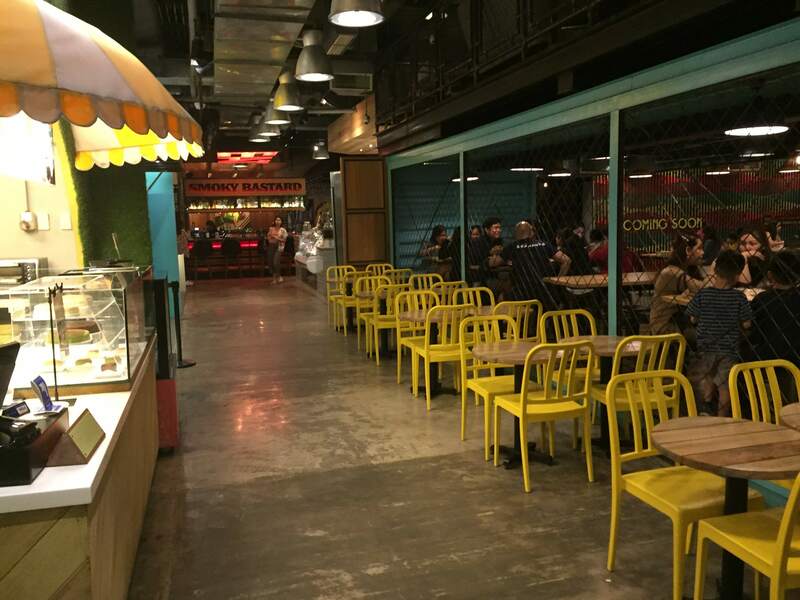 It has been two years since we ate at Hole in the Wall, Century City Mall’s curated food hall. It was a few days before Christmas and we met up with Khris’ college friends for their annual Yuletide get-together. After afternoon coffee, we headed to Century City Mall to have dinner. We went to Hole in the Wall because we could not decide on where or what to eat. Anyway, Khris and I noticed Bad Bird and the plates looked promising. The first thing we noticed with Bad Bird, aside from its big servings, was how well-seasoned and crunchy the chicken skin looked. It seemed as if the chickens had been profusely rubbed with spices and flavorings that it was easy to expect them to be scrumptious. We surveyed the food hall for more choices but it seemed as though our minds were already set for Bad Bird, so we fell in line to get our chickens. We ordered Bad bird’s Chicken and Waffles and Chicken with Dirty Rice. Both set meals had two pieces of chicken. 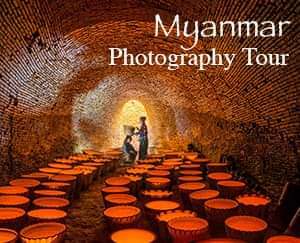 Spice level can be customized based on your tolerance. I think we settled for a spice level that was just right, in the middle of mild and extremely spicy. We loved how crunchy and flavorful the chicken skin was. As they say, no need for sauce because all the seasonings were exactly right. The meat was also infused with spices which made each bite such a delight. Bad Bird’s Dirty Rice was fried rice with bacon plus a host of other good stuff. It was also delicious, however, I thought the chicken might have went better with plain rice. The combination of the flavors from the Dirty Rice and chicken was too savory and could easily tire one’s palate. Meanwhile, the Bad Bird’s waffle with butter and maple syrup complemented the chicken well. I thought it was a genius combination because the sweetness of the syrup provided a welcome break from the strong taste of the chicken. 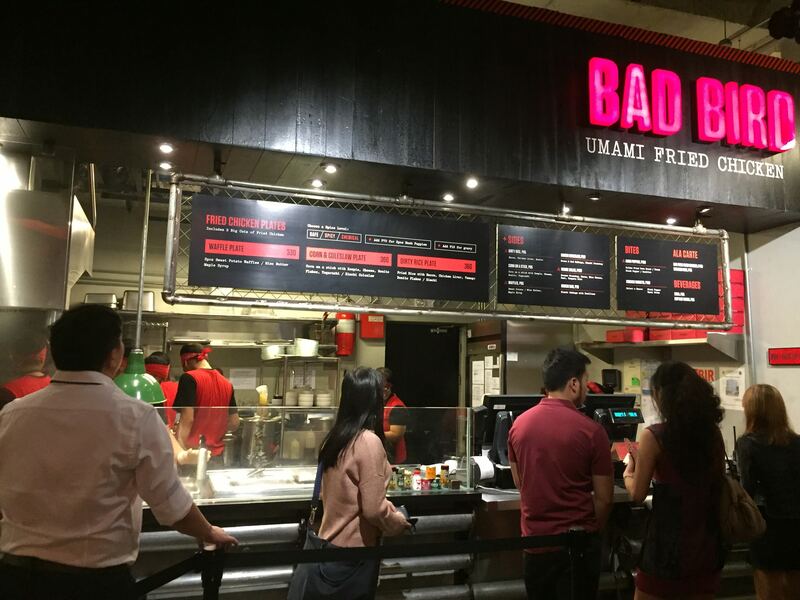 All in all, Bad Bird was a novel concept and its Umami Fried Chicken can be easily recommended for those who love fried chicken or who want to try something new. Price was also reasonable at Php250 to Php300 plus. Not bad at all. wow! gusto ko nung chicken skin!!! Wow. I just wrote my review for their branch in Serendra months ago. My brother and I availed their birthday promo of buy1 take 1. Perhaps you can also try it on your birthday month! 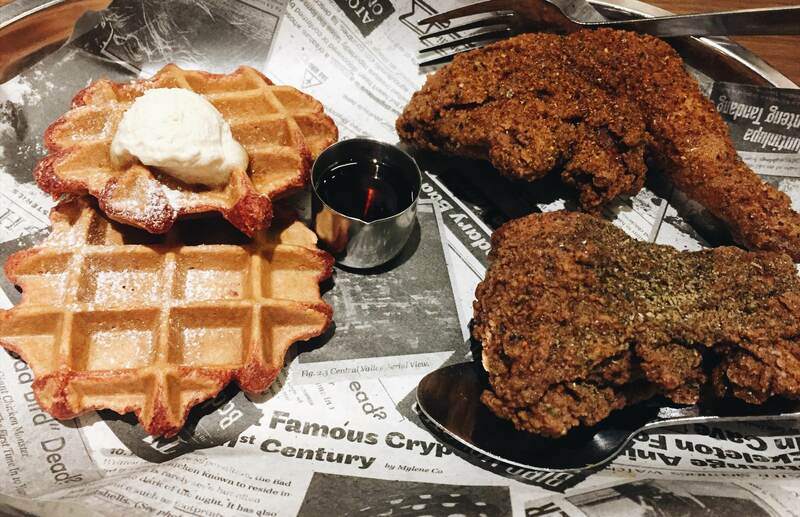 If you are looking for a classy, more elegant version of Bad Bird, try it at Serendra BGC. Wow! Well seems like the name does not really showcase how bad the chicken will be but more like a badass bird for it’s good taste!!! I am also not a chicken lover but on rare occasions, I eat chicken breast or thigh. Yup, mukha nga maganda ang sa Serendra. At least may sarili sila dun. Yup, although I like it salty, personally. The waffles were good! 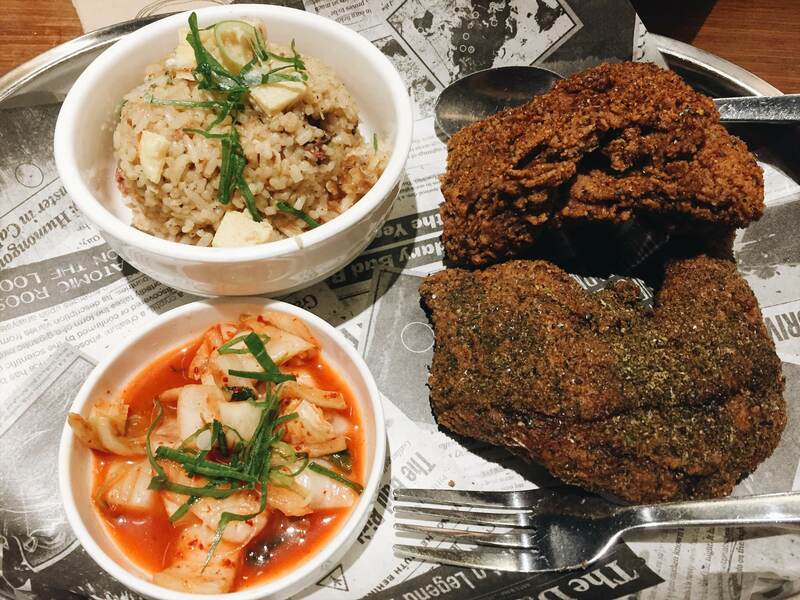 My boyfriend likes fried chicken so we'll check if this resto has a branch in the south. Indeed it looks promising! The chicken looks delicious. I hope they consider your comment abt serving it with plain rice instead. I haven't tried this restaurant, but those chicken looks promising and the servings are good enough. This made me crave for chicken! Sana naman magkaroon sila ng branch dito sa South! Haha. Oo nga. I'm sure marami magkakagusto dito. Yup, sa Hole in the Wall. Dami rin choices dun. Yup, try nyo. Masarap sya.